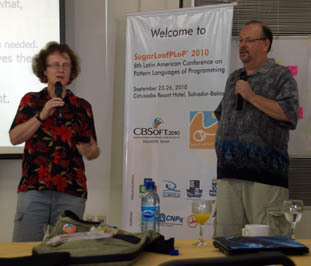 Agile Myths was envisioned by Joseph Yoder and Rebecca Wirfs-Brock during the Agile Portugal conference in June of 2011. Our goal is to outline and debate Agile myths. Both Rebecca and Joe are strong proponents of Agile methodologies. There main concern is that by getting caught up in the myths or by making Agile a silver bullet, we are doing a disservice to the softwarwe community and we can start to loose some of the important benefits that “Being Agile” promises.